Do you have significant damage to a tooth or several teeth caused by a large cavity, a crack, or a hole? 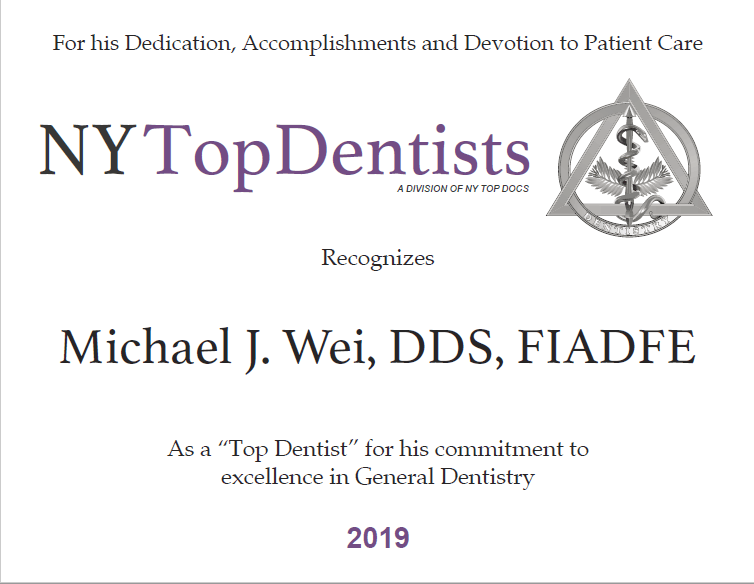 The recommendation for your smile makeover may be a porcelain tooth crown, fitted and applied by Dr. Wei, Manhattan restorative dentist. When you are suffering with a damaged or fractured tooth, all you want is the use of your teeth back and a complete smile that is not marred by an unsightly tooth. Porcelain crowns are an attractive, proven, and reliable solution. Thanks to their durability and natural appearance, porcelain tooth crowns are incredibly versatile as a restorative dentistry solution. Whether teeth are weak or discolored, broken or damaged, crowns are customized to fit perfectly over a tooth in order to correct its size, shape, and strength. The bonus, of course, is that this repair also blends in with the rest of your smile because the crown is designed to look completely natural and match the color of your natural teeth. Placing a porcelain tooth crown typically requires just two visits to your Manhattan restorative dentist. 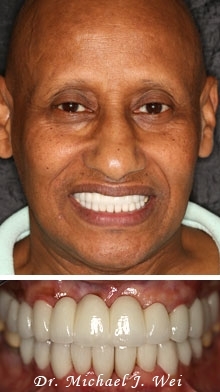 The first appointment includes the preparation of the tooth in question – which may involve sanding and shaping the tooth so that the crown will fit properly – taking an impression of the tooth, and attaching a temporary crown so that you can still smile, eat, and function normally without worrying about the appearance of your smile. In between appointments, our dental lab will create a customized porcelain tooth crown. During the second and final appointment, the temporary crown is removed and the permanent porcelain tooth crown is bonded to your tooth to cover any damage and to complete the repair. As a tooth restoration procedure, porcelain crowns can also be used beyond structural repairs to replace old metal dental work and provide a natural-looking smile makeover and attractive all-white smile. Your naturally beautiful smile will no longer be tarnished by metal dental work. All-porcelain crowns: All-porcelain crowns are made of porcelain or engineered dental ceramic. Often referred to as “all-ceramic crowns,” the all-porcelain crown is a popular option for many patients. Anyone who suffers from a metal allergy will find the all-porcelain crown friendly to their needs, while also serving as a strong and sturdy replacement tooth. 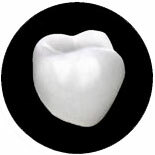 Porcelain-fused-to-metal crowns: Also known as PFM crowns, this type of crown is composed of a porcelain exterior and metal interior. A PFM crown is incredibly robust and strong. 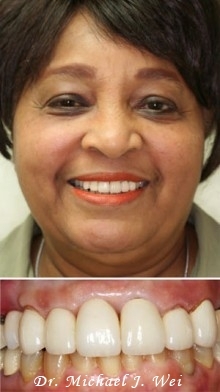 The porcelain shell also allows the prosthetic to be shaded to match the color of your natural teeth. However, the metal element of the crown can be problematic for a wearer who has a metal allergy. Ceramic zirconia crowns: Metal-free and designed to match the color of your natural teeth, ceramic zirconia crowns are very strong and resistant to fractures. 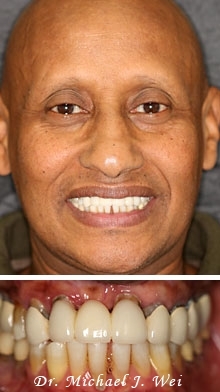 Metal crowns: Recipients of metal crowns likely want someone to notice their smile makeover because these crowns are typically made entirely of one metal, like gold. Durability is a given, but the look-at-me nature of metal crowns makes them a desired option for only a handful of patients. Crowns not only repair a problem tooth, the presence of a crown can help support surrounding teeth and protect them from damage. In some cases, crowns are used in tandem with a fixed dental bridge to repair one or more missing teeth (though dental implants have quickly become the most popular choice for missing tooth replacement). In this treatment, crowns are attached on either side of the bridge to serve as anchors and stabilizers for the restorative dentistry repair. Both the bridge and crowns are bonded to the teeth, closing up any gaps or holes in your smile and restoring full functionality. Crowns are designed to be able to do the important work that your natural teeth should be doing. 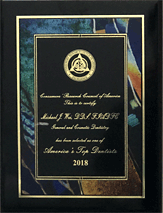 If your genetic draw left you with a set of weak teeth, if you have endured a trauma such as an auto accident, or if you have fallen victim to a lifetime of poor oral hygiene, crowns are remarkably able to restore sections of your smile. Often used in combination with root canal therapy, a porcelain crown can cover and seal the tooth that underwent root canal therapy, thereby serving as just as much of a cosmetic as restorative dentistry solution. 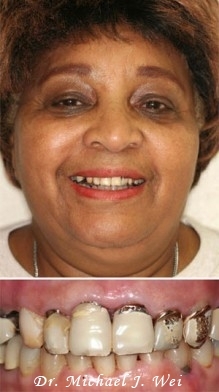 Likewise, when unsightly large fillings threaten the solidity of a tooth, crowns are an effective cover-up. Crowns are ultimately intended to improve the strength of your teeth while cosmetically enhancing them. You want a set of teeth that are fully functional so that you are able to bite, chew, and speak normally without worrying about the integrity or stability of your teeth. Read the latest testimonials from actual porcelain crown patients. Watch videos from satisfied porcelain crown patients of Dr. Wei.